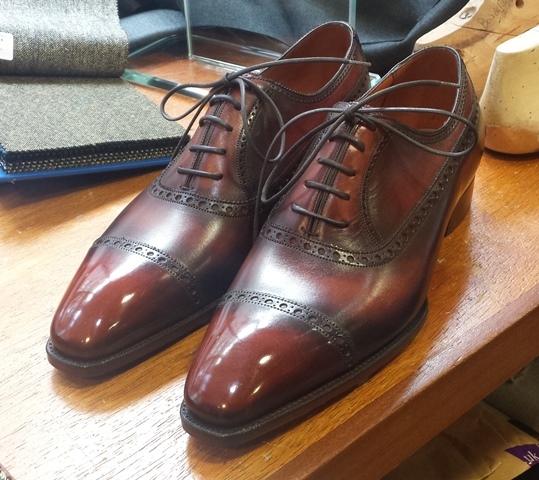 While this might come off as just down right teasing to some, many of you might be pleased to know that Gaziano & Girling will be offering a full patina service to their RTW/MTO collections, come this Autum/Winter 2014 and here is a sneak peak of the capabilities offered. It’s quite impressive to witness the changes that they have made to their company in the last year, from a new and bigger factory, to their impending flagship shop opening here in London and now to their soon to be patina service. It’s a lot of change for one company, especially one as small as they are (in respect to a big company). Yet it is all happening and I think will be a great thing for London (in particular), as none of the other English shoemakers really offer this service and I know that many people appreciate it. So while you cannot order it as of yet, at least you know it’s coming. 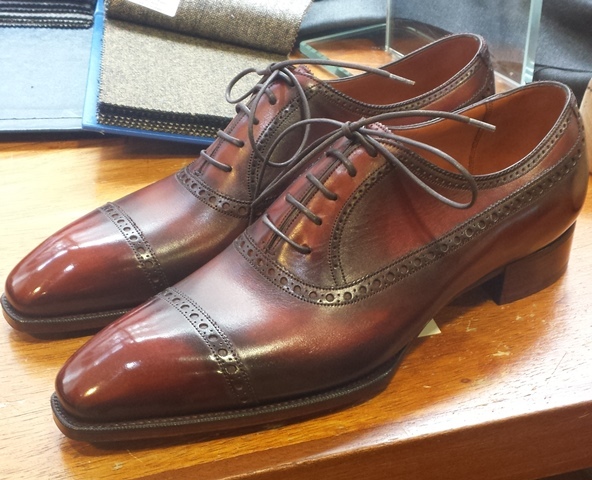 Plan ahead if you are thinking of getting a G&G shoes later this year…you might just be able to get one with a patina if you are patient enough! I wish these were RTW alas, i doubt they are. A patina service is a great option particularly in London. Are there any independent ‘patina-smiths’ in London? Don’t these shoes look absolutely naff. Just like “antique mahogany” hardboard furniture. Just as well they’re expensive or they wouldn’t sell.